DESCRIPTION: Two white spots or saddles on back. Often with a red stripe along flank. All of the fish pictures on elasmodiver.com are copyright protected. 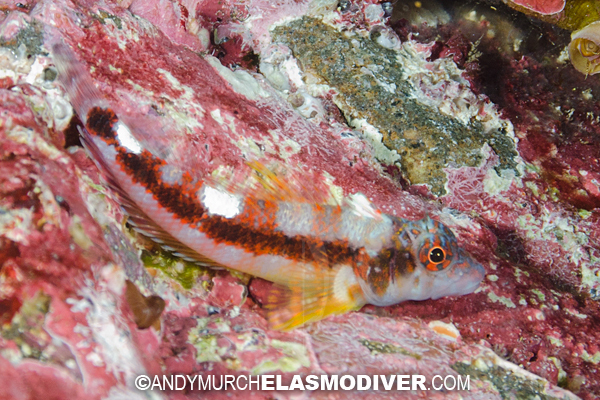 No unauthorized use of these Twinspot Triplefin Blenny pictures is permitted. Please contact Elasmodiver for further information.